When I organised the 11-11-11 eleven hours on the eleven bus day I didn’t make it too clear to people that it was art — it tends to put people off. But I’ve had a slightly different version of the idea, one that’s simultaneously easier to get involved with and has a wider remit. Get on the bus by your house and go the opposite way to the way you usually go (out of town for most people), stay on to the terminus. Record your experiences. It takes time to organise though, so I thought I’d attempt to get a bit of funding behind it — to give myself some time to do it properly, to pay myself the going rate for what I wanted to do. This seemed like a good place to start, so I cobbled together a funding proposal and sent it off on Sunday (for Monday’s deadline). Just (Tuesday night) got a rejection — to tell you the truth I’m not so bothered about being rejected (it doesn’t stop anything happening), but the speed of rejection makes me worry it’s been rejected without any consideration [EDIT: I’m sure that isn’t true, but that’s what goes through your head] — if that’s true then I’d like to know so I don’t waste any more of my time with arts types and just get on and do stuff. The End of the Line is a participatory psyschogeographic expedition encouraging people to record their emotional response to the built environment in a conversational format. The idea is simple and inclusive, but allows a lot of scope: each person gets on the bus near to them and travels as far as that bus goes — in the opposite direction to one they usually take if possible — and records their feelings about the journey and the destination they reach. The local public transport system means that each journey should take less than an hour and each terminus is on the outskirts of the city of Birmingham, the resulting picture would be a snapshot of the edges of a metropolis. The recordings, photography, film, physical art, or the written word are collated on a central website — one built around harnessing different social media tools for collaboration and conversation. Participants are given tips on using simple free tools to describe their experiences online, and the site then either collates these automatically or links out to those depending on the technologies used. As well as the digital engagement angle, the idea would be to help people think about how their environment shapes them. Supported by National Express West Midlands, I encouraged people to spend 11 hours on the Outer Circle bus route on the Eleventh of November 2008. Around thirty people did at least part of that and recorded their journeys online — resulting in a collection of contemporary views of the city. The project was covered extensively in the local media and the supporting website — http://elevenbus.co.uk — is still widely visited. I would consider The End of the Line to be an extended, more accessible, sister project to 11-11-11. 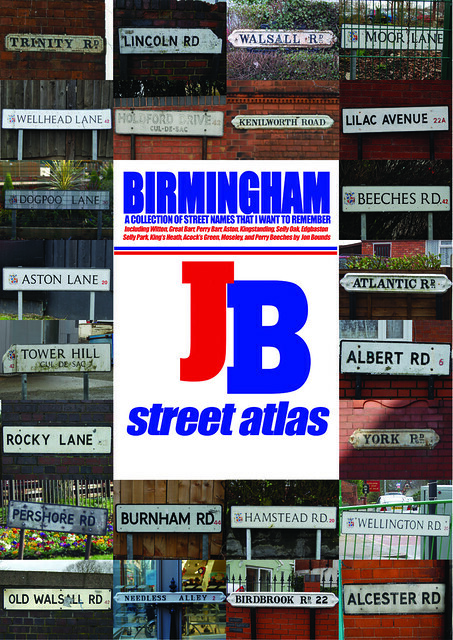 A simple computer program searches the social web for activity in Birmingham and looks for instances of “emotion words” contained therein. It then works out an “emotional wellbeing” score for the city. The score is published online http://www.upyourend.co.uk/isbrumhappy/ and relayed via Twitter (http://twitter.com/birminghamuk) — it has been recording for around 18 months and a clone version that maps the emotional wellbeing of Members of Parliament has recently been released (http://twitter.com/arempshappy). An artwork involving photographing the street name signs of roads with emotional resonance. I’m currently working on a project with the Birmingham Music Archive (http://birminghammusicarchive.co.uk/) where a crowdsourced cultural map is being built up — we hope to turn the data into a number of artworks an installations (as well as continuing to collect data for the archive).